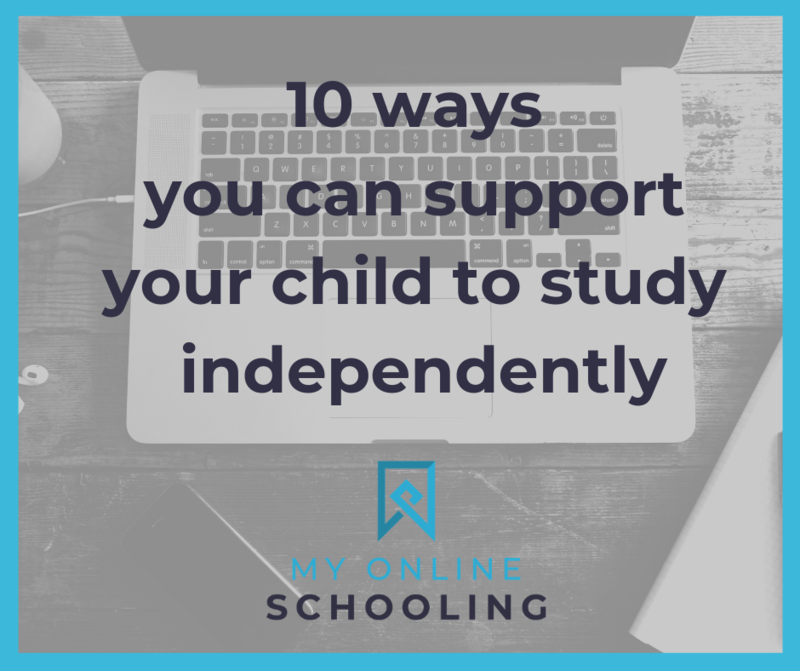 Many of our students are excellent independent learners, with good self-study skills. Learning to manage your own time, do your homework, and go back over tricky topics are essential skills to take forward into both higher education and adult life. It can however be tricky to make the move and develop this independence for some young people. To help you out on your journey to supporting your child to learn and grow independently, we have put together our ten top tips. A weekly planner or diary is a great way of keeping track of homework deadlines. Write it down on the date that it was set, and then write down the deadline on the day that it is due in. If you cross it off or tick it off when it is completed, then a quick glance over the pages will show you what is left to do- easy! Grab a post-it note and scribble down a note every time you come across something you don’t quite understand- a word, maths problem, or concept. Then you can go over it afterwards, until you understand it, so no gaps in your knowledge are left untackled. If you can teach a concept or idea, then it shows that you really understand it. If there is a topic or idea that is difficult, try explaining it to a parent or guardian. You can get as creative as possible- use songs, powerpoint, or drawings to help! This is also a great way of keeping in touch with your child’s learning, whilst empowering them to show you what they have learned. Learning is a two-way process, where teachers support students to develop their knowledge and skills. Build up their confidence to ask questions when they don’t understand, to pursue complete understanding. Encourage them to ask for help, whether it be of a teacher, friend, or relative. Asking for support shows that they are taking responsibility for their own learning, identifying gaps in it, and problem solving this by asking for help. These are skills to take forward into adult life and will teach them to take control of their learning. Tidy desk, tidy mind. Keeping files organised, both on a computer, and physical files of printouts and written work makes learning much easier. Work is quick and easy to find, and it means a clear and complete record is kept of everything. Encourage your child to do this themselves, and to take pride in the hard work and effort they have put into their studies. “Education is not the filling of a pail, it is the lighting of a fire” (William Yeats). Learning doesn’t just take place in the classroom, and a good education should be a lifelong curiosity about the world. Encourage your child to pursue their interests and develop their skills outside the classroom, and take ownership of their interests. Why not visit the local library or bookshop, ask them what museum they are interested in, visit a science exhibition, check out the educational toys section, watch a documentary, watch some YouTube clips? Let them lead, and nurture their curiosity about the world. Discuss ideas with your child and encourage them to develop their own opinions. Ask them what they think about issues, ideas, or concepts, or give them a chance to go and look it up, and then discuss it again. This could be to do with the news, popular debate topics, or anything you think is relevant. This encourages independent creative thought and judgement and shows them that if they are to have an opinion, being informed and looking it up can further discussion. Why not ask them to look up three opinions on one side, and three on the other, to ensure a balanced viewpoint. It can be very easy to want to intervene when you can see that your child is about to make a mistake, be it missing a deadline, or failing to understand a topic. While it is natural to want to help, this can prevent them from learning how to solve the problem themselves, as they will never learn how to do so without you. Let them fail and support them to problem solve ways to prevent it happening again. For example, ‘Why do you think you missed that homework deadline?’, ‘What do you think you could do differently next time”. Here you are gently encouraging them to think for themselves and develop strategies that work for them to problem solve. Framing these moments as opportunities to learn and persevere, instead of blaming children for failing encourages a growth mindset, and the ability to see every shortcoming as a chance to learn and become better. Giving students responsibility can grow their self-esteem and self-worth, as they realise just how capable they really are. Encourage them to be responsible for their own study and learning, as you gradually take steps back, and reward this. You will see them grow in pride as they take control of their education. As well as giving your child responsibility, there will be times too where they just need help! Much of school learning happens outside the classroom, where a parent or guardian explains or supports learning, or sometimes one-to-one tuition with a tutor. If they have reached out and are struggling, give them the help that they need to boost their confidence, instead of leaving them struggling to understand something they just cannot figure out. When they know you are always there to support them, they will keep you involved with what is going on at school, enabling you to spot when they need extra help. If you would like to know more about how your child can study a full time education online with My Online Schooling, then please get in touch by calling +44 800 031 4340 or contact us through our enquiry form, and we will give you a call at a time that suits you.